Going PRO with Cirque de Demain for the 40th Anniversary. 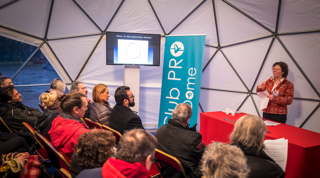 My Lecture at Festival Mondial Cirque de Demain Paris 2018. A view about Circus and Sports as physical training. The theme: Trainingmethods, comparisment, how can we learn from eachother. A comparison with sports training. 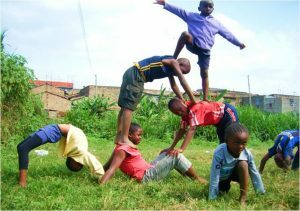 Circus training helps to develop responsibility, physical aptitude and the ability to work together in young people. 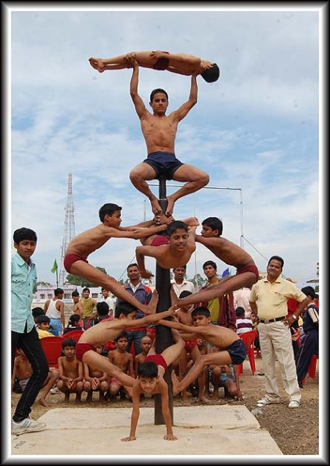 In many countries, circus training as a means of physical training or ‘sports-form’ is increasing in popularity. In sports, the general approach with a competitive pressure is not always what youngsters are aiming for in their hobby time. This competitive pressure is less the case in the circus field. So how can the Circus and Sports disciplines learn from each other? As the founder of the circus school De Acrobaat, Etha Struick developed a teaching method with her colleagues. Working on social circus projects, such as with young criminals, or with children already interested in circus, this method helped Etha and her team enable their young participants to collaborate and support each other, allowing them to develop a strong social group and a sense of responsibility through various circus challenges. This non-competitive approach, with a focus on each unique participant, has proved itself over the past 25 years. 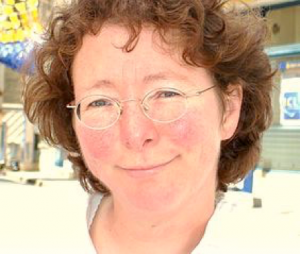 Etha will speak about her experience as circus and sports trainer at De Acrobaat, as a former circus performer and now as Circus theatre choreographer in Nieuw Circus, explaining the results she has seen from the training methods she has helped develop. Award winning Etha Struick is a handstand expert and an Osmani-style balance acrobat. With more than 30 years of international circus experience, she is also the founder of De Acrobaat, a house for Circus choreography. In addition she works as a circus teacher in theatre schools, makes short circus films and provides circus choreography worldwide for international stars. She has also worked as a speed skating trainer for 7 years and a recreational sports trainer. 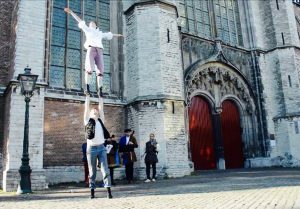 Her Nieuw Circus Team includes production assistants, int. assistant circus trainers and Filmmaker Bent Langerak. Limited places available. Reserve your place above. This conference will be in French and in English. A rarely seen sportsdiscipline, in 1993 only shown in Maharastra India. My circuscolleague and me, whilst working on a circusperformance in India, were invited to a Mallakhambschool in Pune. This is an independent sport and does not require any other equipment except for the 8.5 feet tall wooden pole for the boys, a thin stretching cotton rope for the girls on which it is practiced like Yoga postures. A fascinating old sportsdiscipline, one can feel the tradition, history and tremendous precision of this physical skill. As we found it really interesting, we involved it in our Theatrecircusshow. In India I made a circuschoreography for Romeo&Julliette in 1993. Aparna Deshpande, Champion in Mallakhamb, Pune, India, performed a wonderfull Mallakhambrope act in it. After this show, I invited her in Europ and made a Choreography for a Dinnershow and Circusshows in Germany, Holland in 1994/1995. 2000 people in the audience were amazed by the grace and art of her act. A yoga and gymnasticsbased circuslike discipline. It was the preparation for wrestlingcompetition in the 11th and 12th century. In the 12th Century it developed into it’s own sportsform. This is an independent sport and does not require any other equipment except for the 8.5 feet tall wooden pole on which it is practiced like Yoga postures (an extension of yoga). The word ‘malla’ means gymnast and ‘khamb’ pole, later it allso developed a Mallakhambrope style. Met veel plezier heb ik gewerkt voor Hans Klok en circusadviezen gegeven, in de aanloop naar House of Horrors. Zijn show is een echte aanrader van illusionistenvakmanschap, snelheid en circusjuweeltjes. Een sympathieke innemende verschijning op het podium bovendien. Een Circusspektakel met Vuur en Poëtische vertelling uit Nederlandse en Afrikaanse circustradities. NieuwCircus uit Haarlem speelt een Circusspektakel, de Eindshow in de Familietent om 17.00 uur. Artiesten: Marieke Drent (Circus Klomp), Raniya, Gene, Kolyn. 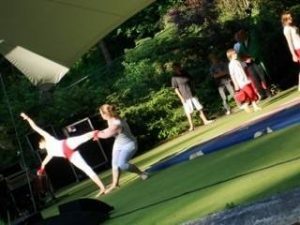 De voorstellingsgroep van Circusschool De Acrobaat Haarlem speelt ook mee. Zie voor route en meer informatie :www.Houtfestival. 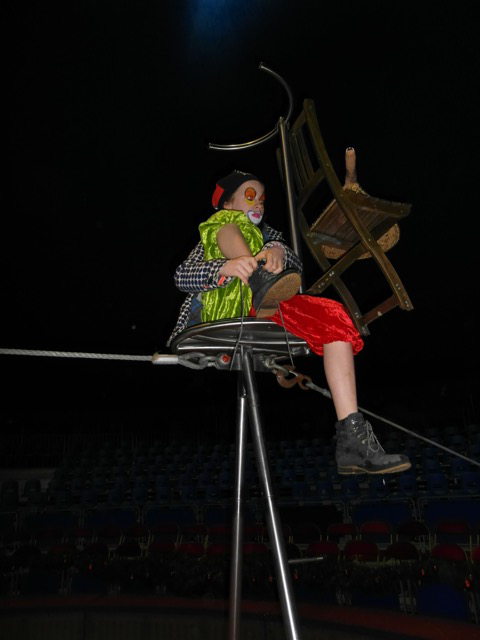 Etha Struick van Nieuwcircus.nl maakt sinds 30 jaar circuschoreografieën, o.a. voor New Circus Senso, Karin Bloemen, Hans Klok, London Circusfestival, Circusschool De Acrobaat e.a. We steunen de Nafsi Circusprojecten in de sloppenwijken van Nairobi, Kenia. Wil je dit ook ? Neem contact op met Nieuwcircus.nl wij brengen je graag met hun in verbinding. We hopen je te zien zondag a.s! Nieuwcircus.nl maakt circuschoreografieën , nu voor de Afrikadag op 4 Juni. Etha Struick maakt sinds 30 jaar circuschoreografieën, o.a. voor New Circus Senso, Karin Bloemen, Hans Klok, Cirque Stiletto e.a. Nieuwcircus.nl zet zich in voor de Nafsi acrobaten, met hun Circusprojecten in sloppenwijken van Nairobi, Kenia.